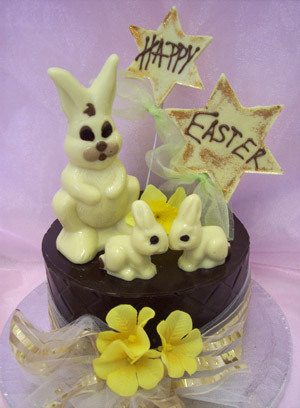 Three white chocolate bunny rabbits on a milk chocolate tier. Decorated with yellow flowers and mounted on a silver display disc. Includes white chocolate sparkle stars.